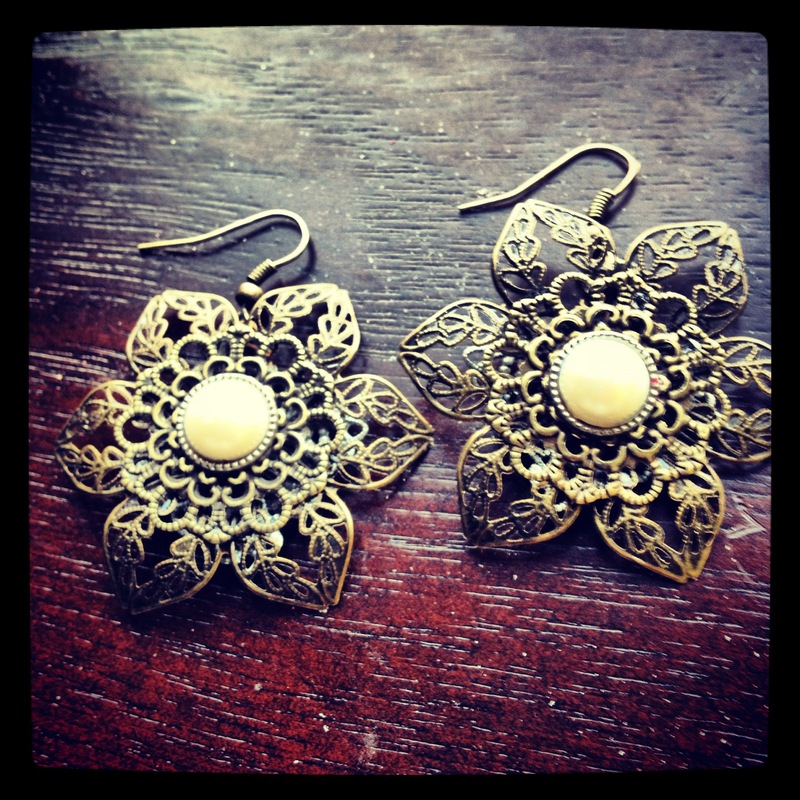 To make these earrings, I first hammered out the brass leaves to flatten them & make them easier for my tools to grip. To hang the turquoise gemstone drops from the brass leaves, I punched 3 holes in the bottom of each leaf (with my new metal punching tool that I LOVE LOVE LOVE) through which I looped the brass pin findings. 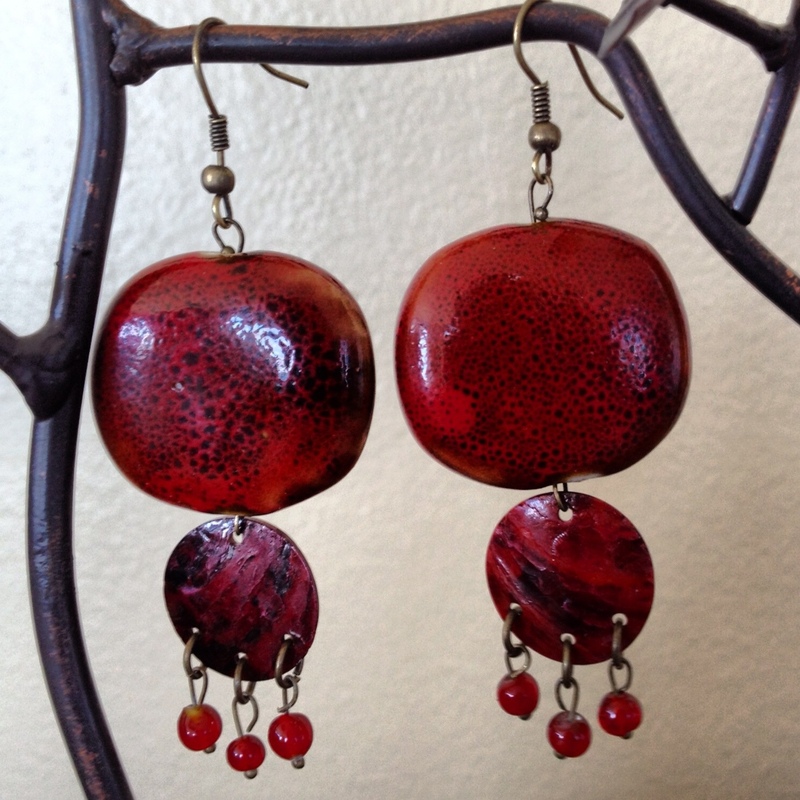 I punched 1 hole in the top of each leaf from which I then hung the respective earring wires. The vibrant gold tone of the brass coupled with the brightness of the turquoise gemstones makes these earrings a bold fashion statement- just keep in mind that less is more when deciding what other accessories to wear! See: tangent on overaccessorizing below. 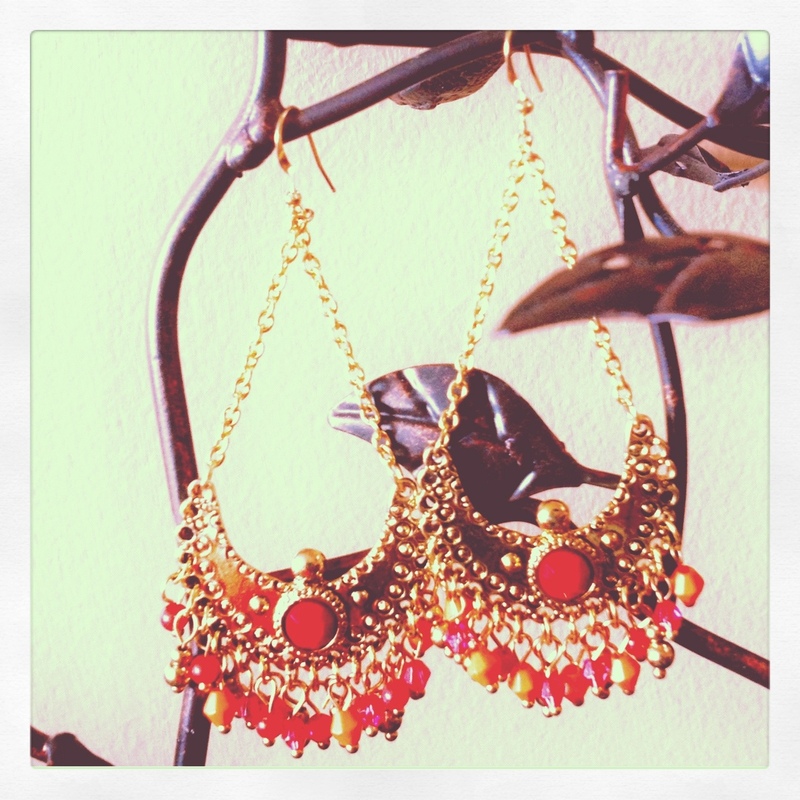 Earrings are one of my favorite accessories- especially chandelier or large dangle earrings. Large sized dangle earrings in the chandelier design are a bold style choice & and can be a great way to accent any outfit as long as you remember to keep other accessories to a minimum. 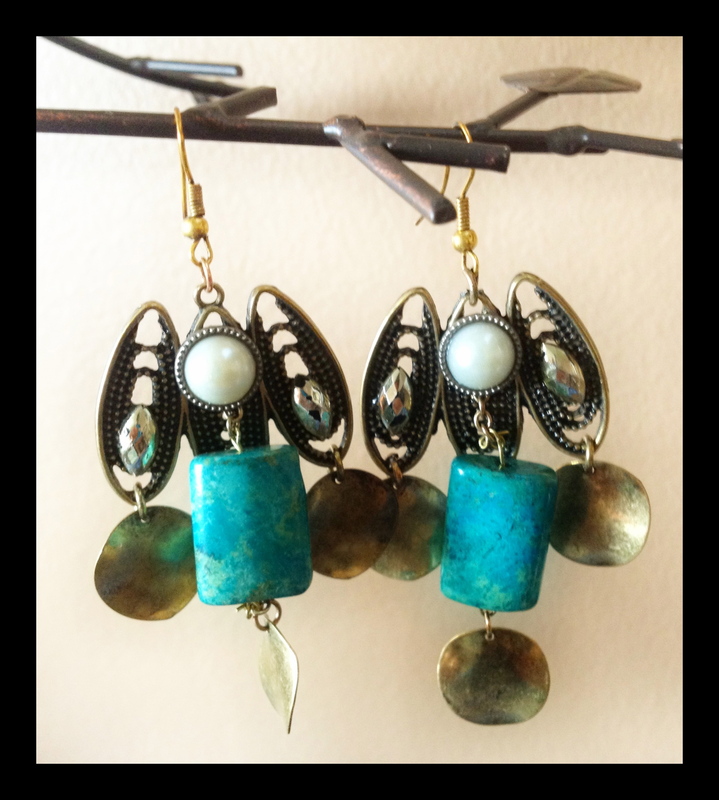 To order, or to access the Brass Leaf Turquoise Earrings in the lakeshore lavaliere online shop….. Just Click the Pictures! 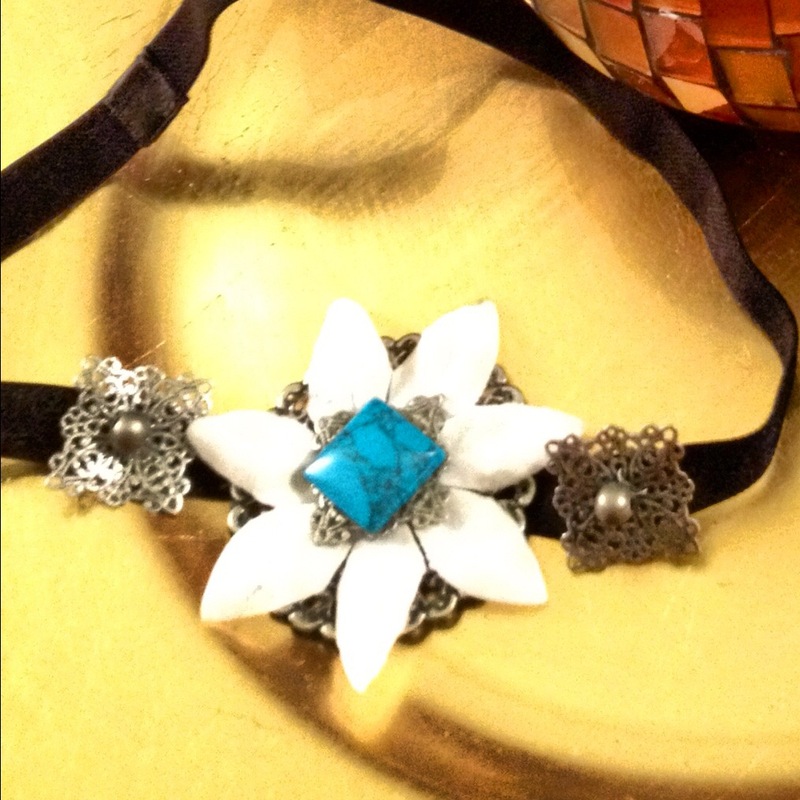 This green, black, and silver floral bohemian beaded necklace, along with the earrings (and a bracelet that is still a work in progress), were part of a custom order for a matching set. Similar in design to the whimsical bohemian necklace I posted last week, this necklace measures 16-17 inches- falling just over the collarbone. 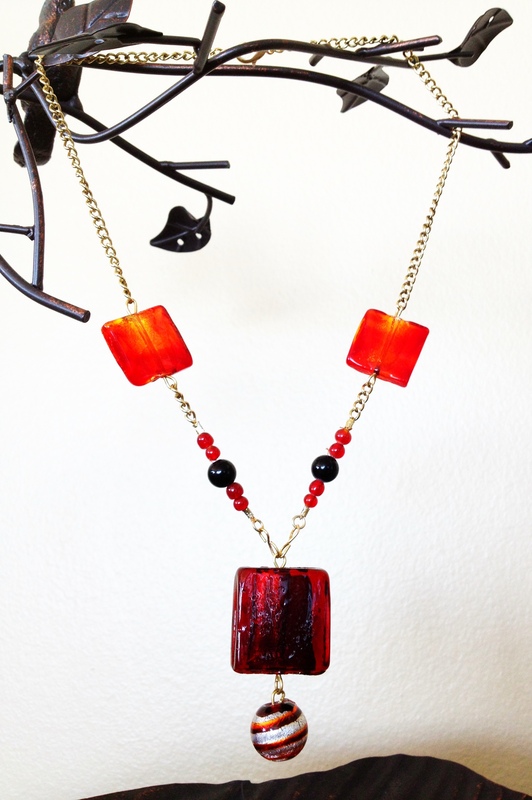 This necklace is elegant, whimsical, and fun, and definitely is versatile enough to be worn with any style of dress- although it was made to be worn for a more formal cocktail event. 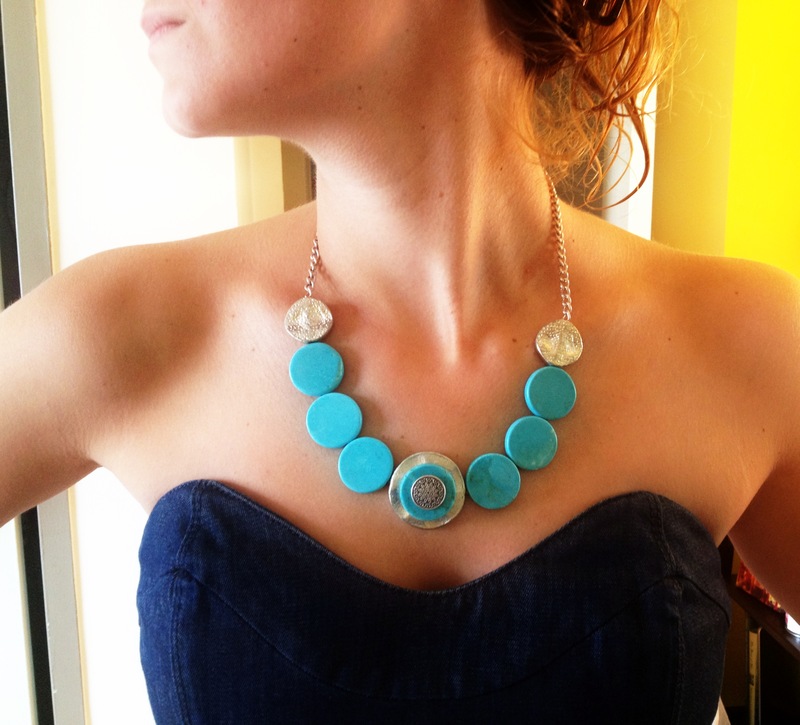 As I said before, for formal event, a necklace with a shorter length (like this one) with either a drop pendant, stone, or charm is usually the most appropriate & the safest bet style-wise- as long as the neckline of your dress is, as with most formal dresses, an (appropriately) dropped neckline. If the neckline is too low, that would make the dress a style called Jersey Shore Reality TV Formal, which, translated, is a style, as recognized by the rest of the world, simply called ‘trashy’. (This style is not to be confused with those worn by the unfortunate residents of the Jersey Shore who have no MTV ties.) A finish with some sort of metal, and not leather or suede, which (for the most part) are materials that tend to imply a more casual look, is also best for dressier occasions. Hope you like it & thanks for reading! More fall pieces coming soon! 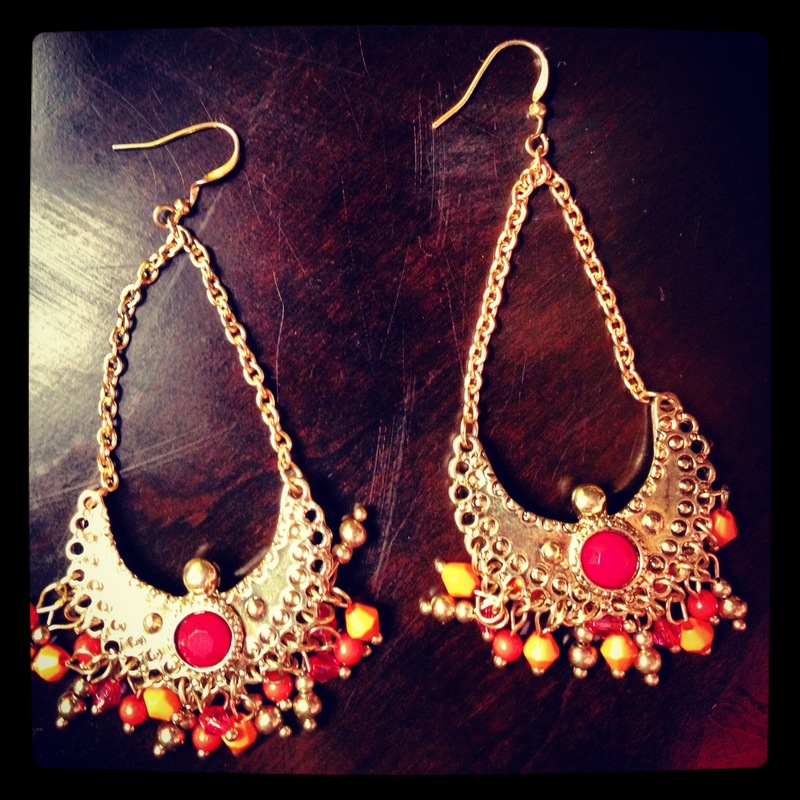 New Earrings & More Coming! 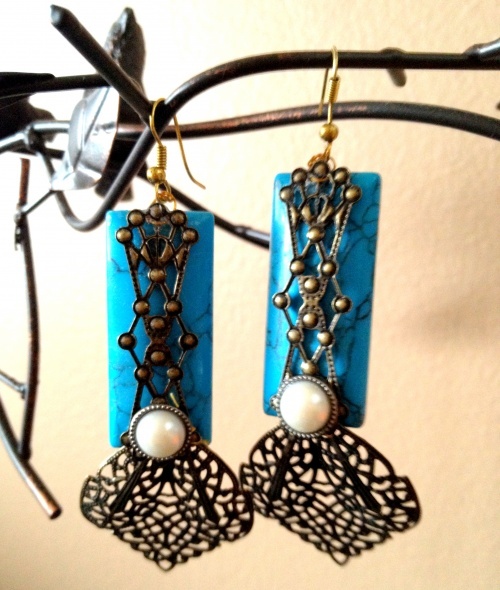 Brighten your day with these funky yet elegant yellow, black and gold hanging earrings. To buy, click the picture! Orange and Blue are the colors of the season, and everyone is wearing them together. I needed a pair of orange earrings to go with a navy dress that I wanted to wear for an event, but I couldn’t find any that I really wanted. So, I sifted through my pile of old jewelry, and found some orange beads and gold pendants on some necklaces that I used to wear. 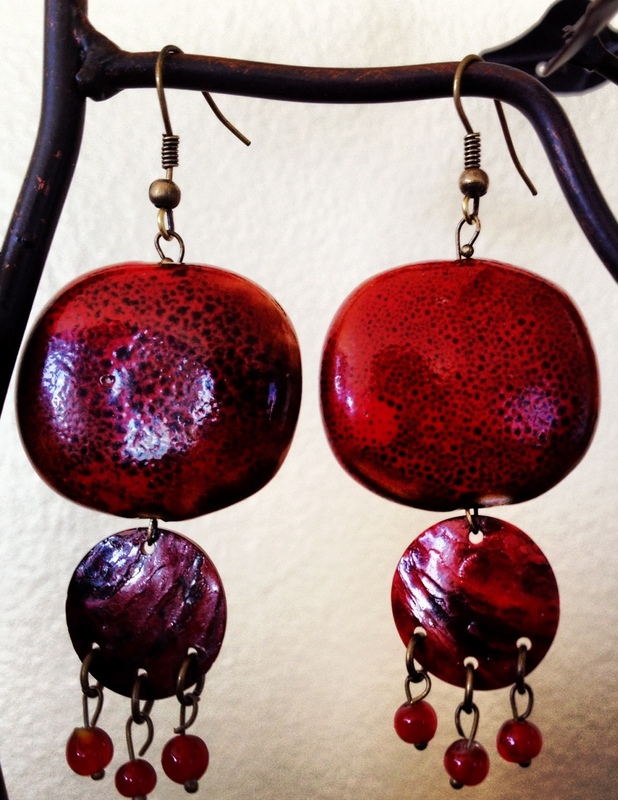 They seemed the perfect size to combine with other pieces to make into a pair of earrings. I combined some chain, beads, and other materials I had in my jewelry arsenal, and this great new pair of earrings (and several other similar pairs) was/were born! 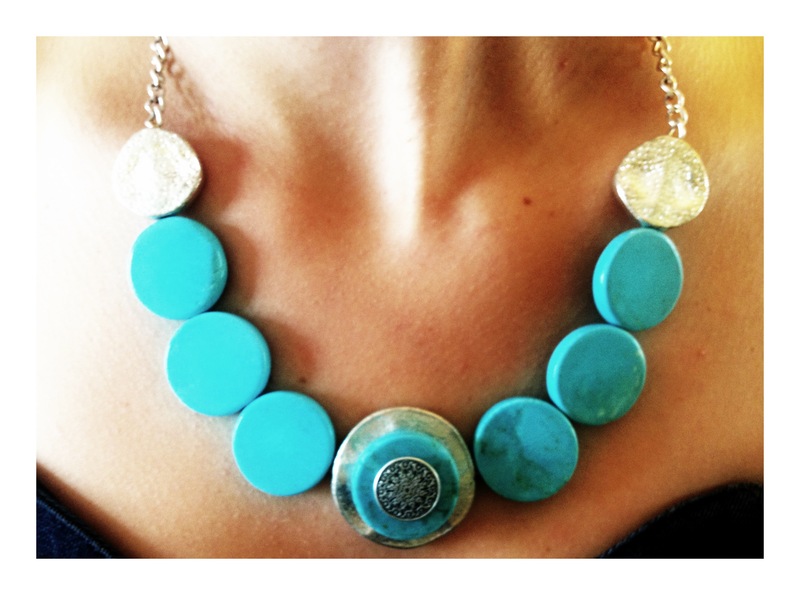 Want even more turquoise? It’s available at etsy.com/shop/lakeshorelavaliere! Go check it out! Etsy Shop: Purchases Made EASY! To make payment easier, I have gotten my etsy shop up and running, http://www.etsy.com/shop/lakeshorelavaliere, and everything from this site can be ordered directly from there. I still take custom requests, questions, and orders through my company email, lakeshorelavaliere@gmail.com, but this way, if you see something you like, you have the option to click and buy right away! I’ll be adding pieces from this site to etsy over the next few hours, so if you don’t see something up there yet that you like- don’t worry, it’s coming! 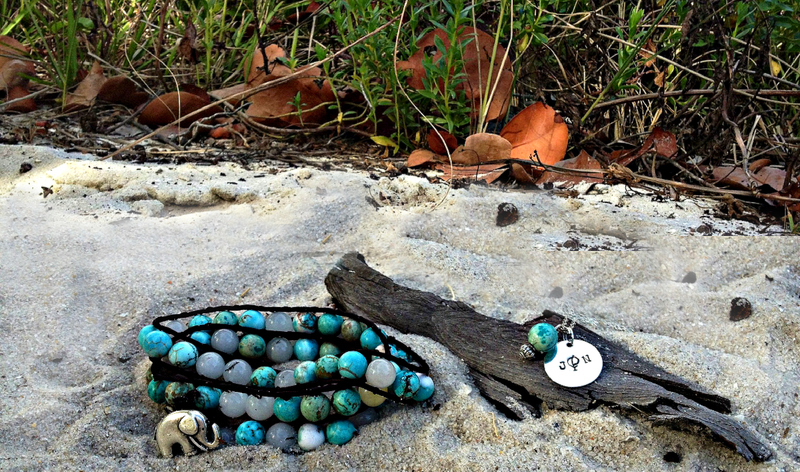 Thanks for shopping at lakeshore lavaliere, and don’t forget to follow this blog for more information regarding new pieces, tutorials, and JEWELRY PARTIES.